This article is based on original content by Victoria Thomas. A cinema visit in London can be an expensive business. Of course there are always the off-peak tickets, but not everyone's free at 2.30pm on a Tuesday afternoon. And what about pick and mix, ice creams, drinks and hot dogs — for those who can negotiate one in the dark? They'll usually make your movie trip to well over £20. 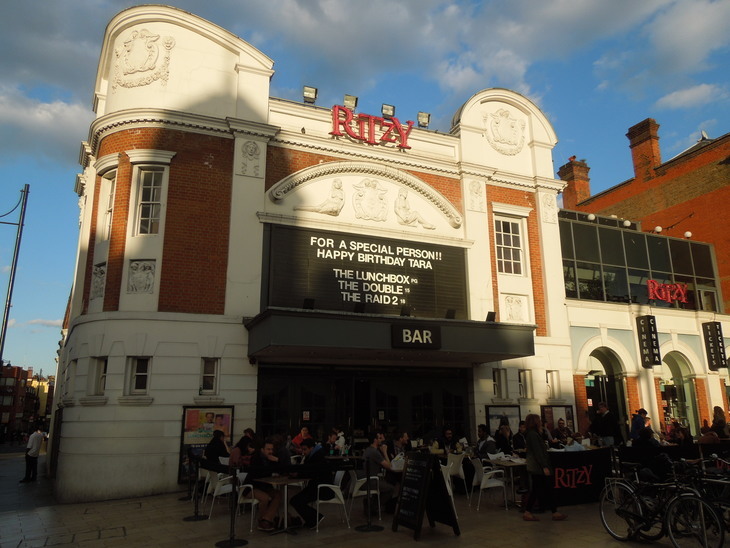 We've put together a guide of free and cheap cinema tickets in London, both larger chains and small arthouse premises, pubs with screening rooms and the like. 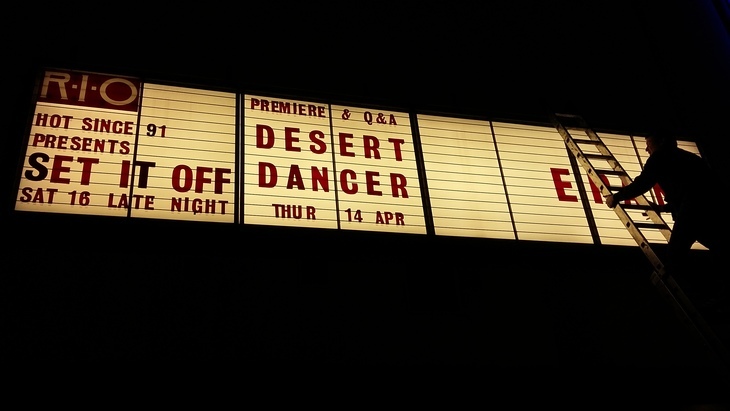 You won't pay more than £7.50 per film at these screenings — all the more cash for popcorn. Showing an interesting movie mix, from foreign language numbers to gritty British dramas — and many genres in between — Barbican offers discounted Monday films at £6 a pop. Plus, if you have youth on your side then 16-25 year olds can sign up to the Young Barbican scheme for free, to enjoy new film releases for just £5 Monday-Thursday. There are two screen locations, so check which you're visiting. Unlike many of the venues in this list, London's Vue cinemas are more mainstream than arthouse. If you're looking for a cheap way to catch a box office smash, their Super Mondays deal offers £5 tickets all day and evening. It's the sort of price that lets you justify going to watch an enjoyable turkey, just because. If you want to upgrade to their VIP (leathery, roomier) seats, those are discounted to £7.99. When you consider their usual weekday prices are — choosing their Finchley Road branch as a sample — over £15 a ticket, or more than £18 for VIP, this is pretty spectacular value. Super Mondays is available in all London Vue cinemas apart from Leicester Square. 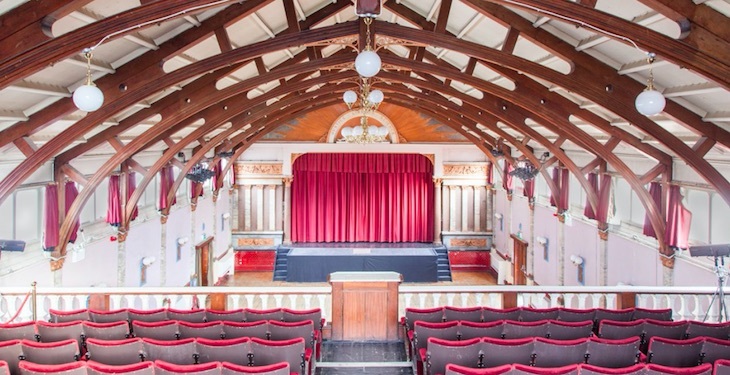 You can feel doubly good about yourself at this lovely, community-led cinema. Not only are adult tickets £7 all day on Mondays, but all proceeds go straight to their chosen charity, The Sustainability Institute. It is reportedly the UK's first independent social enterprise digital cinema and all the staff are local volunteers. That's what we call a serious win-win. 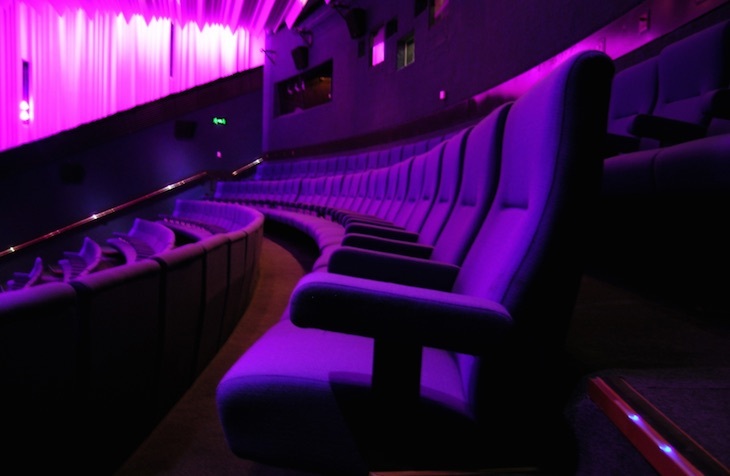 Some Picturehouse Cinemas offer £7.50 tickets all day on Mondays (excluding bank holidays). Those London branches participating are Crouch End, the Ritzy in Brixton, East Dulwich, Gate (Notting Hill), Greenwich, Clapham and Hackney. See individual webpages for details and locations. This Dalston picture palace mixes arthouse with mainstream movies in a Grade II listed 1930s building with a single screen. It's London's oldest community cinema (for almost 40 years) and operates as a charity. On Mondays, all screenings are just £7 (or £6 concessions). And if you are a Hackney Library Card holder, you can enjoy £5 tickets on a Tuesday. First opened as a cinema more than 100 years ago, The Castle Cinema has seen quite a number of changes over its time, including stints as a bingo and snooker hall. But film is back at this East London venue following a successful local campaign to revive its initial purpose. The screening room is beautiful, and you can enjoy it for just £6 all day on Mondays. Many places claim to be a 'hub', but Rich Mix in Shoreditch truly has the credentials to back up the statement. From film screenings to spoken word, live music nights to community projects, there is always a reason to pay Rich Mix a visit. On Mondays, one of those reasons is their £6 film screenings (or £10 for two if you're coming with a friend). Formerly Shortwave Cinema, Kino recently took over this 52 seat cinema in Bermondsey with the website promising "there will be very few other changes. If any". The cosy bar and cafe remain but unfortunately the former £6 Monday screenings didn't make the cut. However they're making up for it with 2-for-1 Tuesdays, meaning that if you're splitting the bill you can expect to pay between £3.65-£6.25 each. London Jewish Cultural Centre offers lesser-known films and the odd mainstream movie in a centre dedicated to Jewish arts, culture and community. Opening hours may change due to religious holidays, so check before visiting. On Tuesday, you can catch any movie, at any time for just £5. Sands Films in Rotherhithe is housed in a Grade II-listed granary building, right by the river. The place has been running since the 1970s and offers a film club and film production facilities, combined with a welcoming atmosphere. The toilets are pretty special too. They offer free film screenings every Tuesday evening. 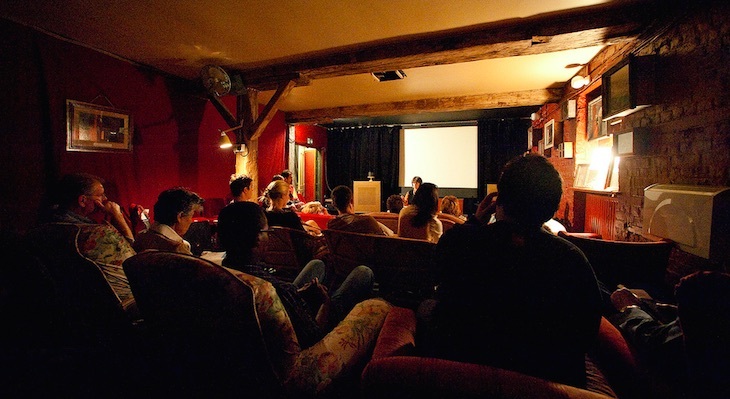 Hosted in the tiny and atmospheric chapel situated around the back of St Margaret's House, this pop-up cinema fits just 35 with a different theme every week. You can expect screenings from different genres, different decades and different countries. St Margaret's House itself is a local community charity in itself and a destination well worth supporting. On Mondays right through to Wednesdays you can see any film (except for those in luxury Screen 5) for £5 plus booking fee. This East End picture house has a rich history after the current building starting life as a Theatre Of Varieties in 1885. Spitalfields boozer The Water Poet welcomes The Overlook Film Club for a monthly film screening in the Cellar Bar. The night focuses on cinema's best kept secrets, so it's a great chance to catch cinematic gold you might have missed. It's pay-what-you-can entry. It's currently on hiatus but promises "exciting news" soon. There are no stand-out tickets offers just for Friday, so have a look in the Various Days section below instead. 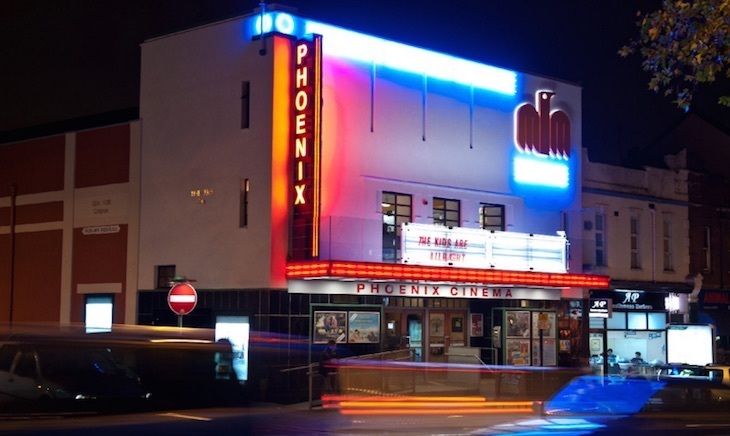 North London's Phoenix Cinema offers a kids club each Saturday to give little ones their first taste of the movies, without breaking the budget. It's just £3 per seat and there's a free activity workshop before. Sponsored by Cushelle, certain London branches of Vue Cinema run kids and parents screenings of popular animation films as part of their Mini Mornings initiative. Tickets start at just £2.49 for a 2D feature. The offer's also available on Saturday mornings and throughout school holidays too. PECKHAMPLEX: £4.99, all day anytime including weekends. 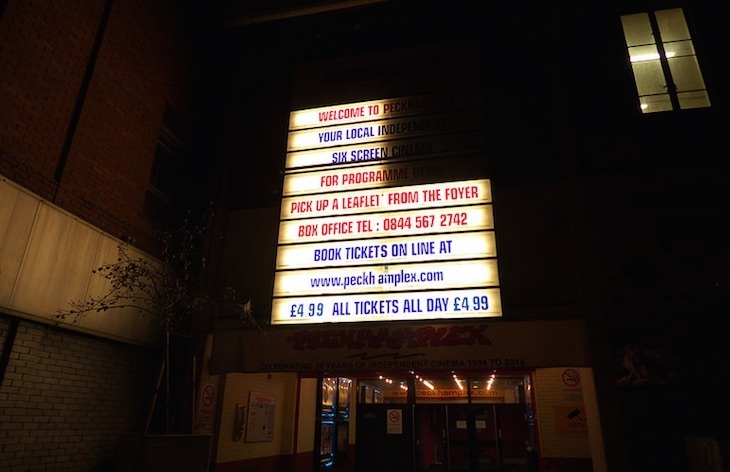 OK, it's not a looker, but Peckhamplex is a friendly multi-screen cinema offering new releases for a fraction of the big-chain prices, at any time. It's under a fiver per ticket, for any time screening, and you only pay £1 extra for a 3D movie. Bargain. This former Salvation Army Hall claims the mantra "affordable and open-minded", citing its desire to attract a diverse audience and determination to do so by screening films and productions with a purpose. It is award-winning, celebratory and tickets cost just £7 all day on Monday, or £7 before 7pm Tuesday-Friday. The Stratford East branch of the Picturehouse chain (part of Cineworld) offers all day, anytime tickets for just £7.50. You don't have to be a member, but there are all sorts of benefits if you are, including free tickets and discounts from many stores. 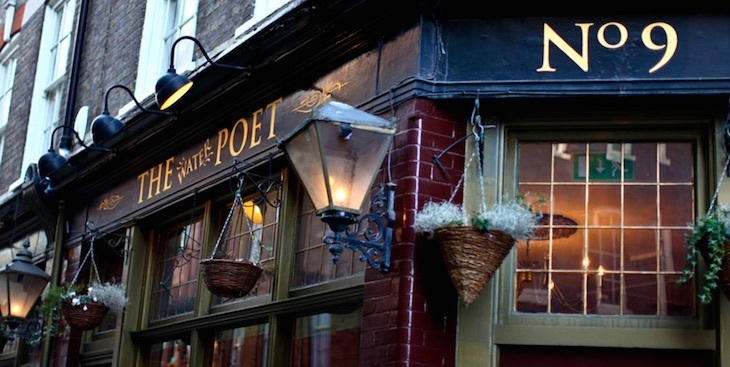 A cosy pub nestled between Wandsworth and Putney isn't the first place you'd expect to watch films such as This Is England and Dead Man's Shoes — but The Cat's Back does just this, and for free, too. Screenings mostly take place on Thursday and Sunday and you can also take advantage of the pub's full food menu and ale selection. 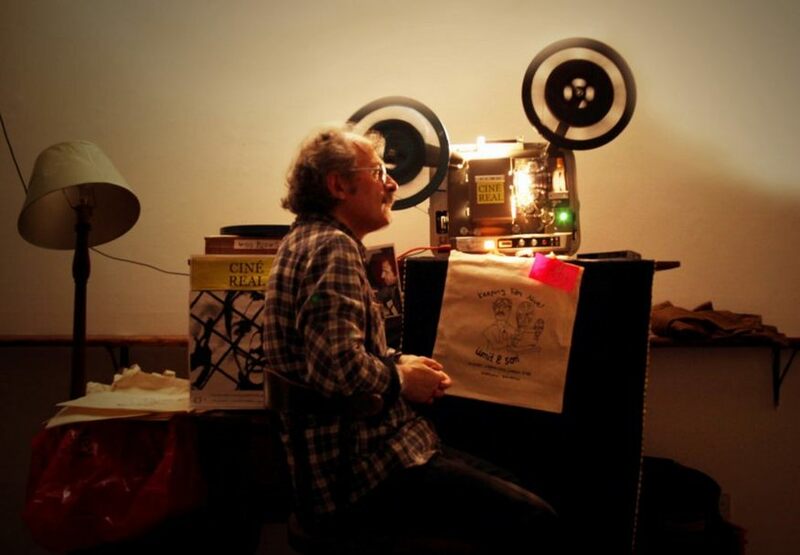 Cinema experiences don't get much more atmospheric than these monthly get togethers, where classic movies (think Jaws, Citizen Kane, Charlie Chaplin) are projected at one of the only film clubs in the UK to exclusively play films in their original 16mm format. A special mention to this beloved Leicester Square cinema: it's well worth becoming a member (£10 annually), which entitles you to screenings as cheap as £1. As with all great things, details of these offers are subject to change — so check carefully before heading off to the cinema.